Whether you do a lot of traveling or you are moving to another country and don't want to have to replace all of your current Blu-ray movies, an Oppo region free Blu-ray allows you to watch your movies anywhere. Different countries have different regions in which Blu-ray movies will play. For instance, the United States uses Region A which is Region 1, as well as South East Asia, Japan, and Korea. However, if you travel to Europe, Greenland, Australia, New Zealand, Africa, or the Middle East, you can only play Region 2 movies without that type of player. There is also a Region C or Region 3, which is in Russia, China, Nepal, Pakistan, India, and Central and South Asia. Some Blu-ray movies come region free but that's hardly a given and if you have a collection that you have had for a number of years, you would have to either replace your movies, which is expensive, or buy a player that works in that country. However, even if you did that, your own movies would not play if the regions don't match. This can be expensive either way but you don't have to worry with a region free Blu-ray player such as one from Oppo. These players play every region available so you can keep the movies you own and be able to buy new ones in the country you're in. It's much cheaper than replacing your movies or never being able to buy new movie since you're using your old player. 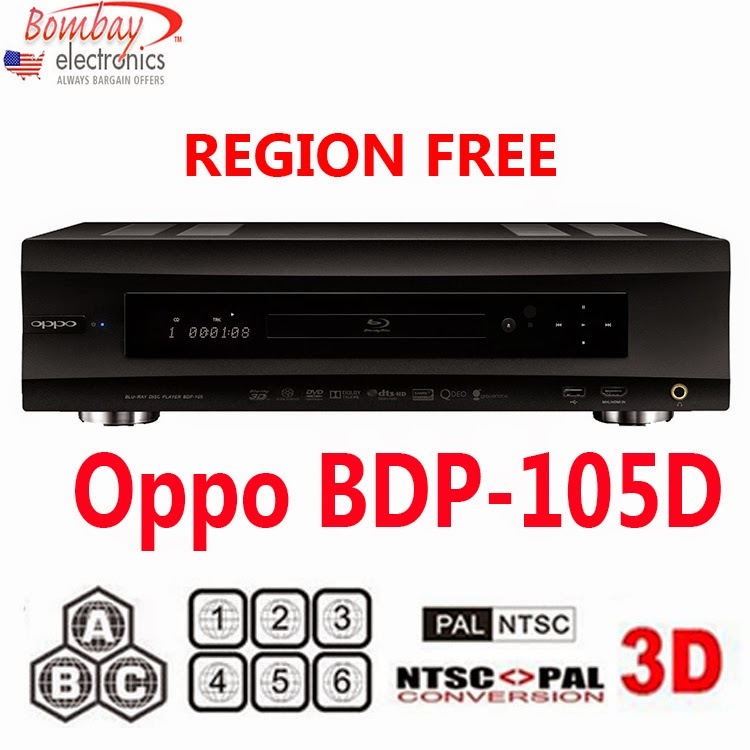 For instance, one Oppo player feature 4K Upscaling, dual HDMI input and output, 3D playback, but most importantly, it has all Blu-ray and DVD regions playback. If you want to learn more about what kind of player to choose or have questions, simply contact us so we can help.